I once tried to memorize the Book of Romans. I learned a few things from that effort. 1) Scripture memory is hard. 2) Actually storing the Word of God in your heart is even harder. But, I think what I learned in my journey could be helpful and encouraging to you. Let me paint the picture of how I got to where I am in pursuit of memorization, so I can help you memorize scripture more effectively. Last year I led our group through Spiritual Disciplines for the Christian Life, by Donald Whitney. This was the second time I went through the book in a Small Group setting, and I knew what I was in for. If you are not familiar, Whitney challenges Christians to practice ten disciplines (including memorization) for the purpose of godliness. I didn’t want the semester to be just another book study, so I really buckled down and prepared to make some lifestyle changes to be a more disciplined Christian (and leader) for the purpose of godliness. In regards to the discipline of Scripture memorization, I set the goal to memorize the entire book of Romans. At first it was without a prescribed due date. I did some research to find effective tools and techniques, then decided my tool of choice would be “Scripture Typer,” an iPhone app. The premise is that you plug verses into the app, and then memorize the verses through a three step process that increased in difficulty. You just type the first letter of each word, and boom! You’ve memorized Scripture. Every once in a while I could convince my wife to listen to me recite my memory verses, God bless her, and for the most part I could recite Romans 1:1-4:21 with very few “helps”. Better yet, I had a really high score in the Scripture Typer app, and was en route to Christian greatness. Everything was gravy until the day the bubble popped (not the housing bubble). One day I was talking to a friend at work about Romans’ claim that everyone really knows God exists. I knew that this truth was stored in Romans 1, right around verse 20. I got super excited and started wagging my tail because I was about to throw verses of Scripture right in his face! I only had one little problem. In the fiery furnace of workplace (self-inflicted) persecution I couldn’t for the life of me remember a single word from my verses. Forget about the obvious problem of failure to perform my dream recital from way up high on my holier-than-though soap box. It occurred to me that I hadn’t written a single verse on my heart! It was time to spend some significant time in prayer, reconsider my motives and methods, and possibly reconsider my .71 verses per day. But, praise God for His sovereign persistence in pursuing my heart. Praise God for the conviction of the Holy Spirit. Praise God for passages like Matthew 4:1-11, where Jesus conquered Satan, not by supernatural power and lightning bolts, but by speaking memorized Scripture at the stinky beast. Praise God for Paul declaring the Bible as our offensive weapon in Spiritual Warfare in Ephesians 6:17. And Praise God for Ephesians 6:1, because I have four kids and I love that verse. So, what did I do that worked? I decided to start a humbler adventure, at a humbler pace, aware of my memorization limits, and just enjoy the ride. (So humble of an adventure that I am writing a blog post about it.) I read more about memorization techniques. I looked into stories of people memorizing Scripture successfully. I sought out different tools and methods. I accepted failure in my new adventures, and continued because I wasn’t under the gun of my past failures. I found joy in memorizing in a way that works for me, and asking God to daily write the words on my heart. He receives the glory from my previous failure, because He showed me how incapable I am on my own. Organization doesn’t write Scripture on your heart, neither does discipline, only Spirit empowerment with the right heart and mind will give you the joy of a scriptural sword that is ready for battle. Here are a few successful tips I’ve picked up on this iteration of the journey. 1) I am still memorizing a large passage, but not just because I can. Romans 1 started with an introduction, and it is valuable because it is the Word of God. But is Paul’s introduction to a letter really a necessary place to start? No. So, this time I started working on the Sermon on the Mount. It starts with the Beatitudes, so even if I fail to get all of Matthew 5-7, I at least have those gems with me. 2) I’m memorizing verses that align with our Church’s focus in that season. I have no idea what my pastor was preaching on when I was memorizing Romans. But while I’m memorizing the Sermon on the Mount our Pastor is doing a series on the Sermon on the Mount. I feel more aligned in my personal discipline with my communal worship. For your enjoyment, here are some examples of my ridiculous drawings. 4) I’m slowing down. 0.71 verses per day was so useless to my natural limitations. D.A. Carson can memorize whole chapters in multiple languages (supposedly), but I will happily crawl through an enjoyable season of Beatitudes before running too quickly and never writing a word on my heart. 5) Most important, I am worshipping God in my memorization. Every success is to His glory. Every verse comes with deeper meaning of the text or I do not consider myself ready to move on. For example, I don’t think I ever internalized or meditated on meekness properly until I memorized Matthew 5:5. Friends, will you join me on the God glorifying, highly personalized, transforming, empowering, and equipping journey of memorizing God’s Word? We were given a great tool for making Christ-honoring date nights, this week. 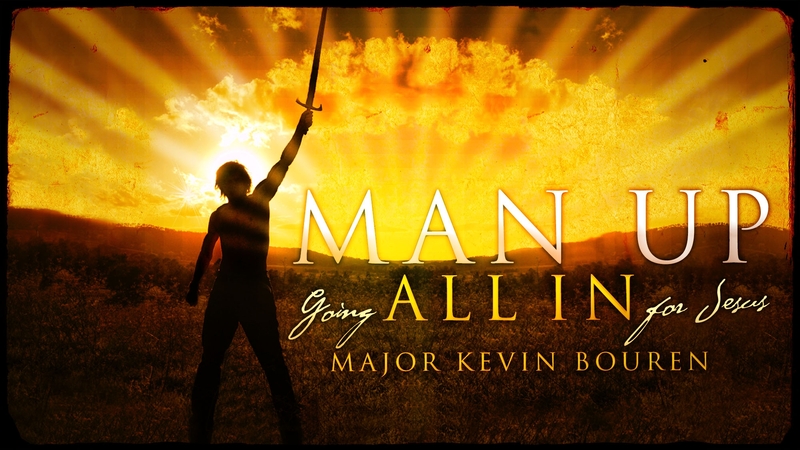 In the sermon, Kevin exhorted Christian men (and empowered Christian women) to honor Christ as His soldiers in five biblically fundamental realms of your life: In Your Marriage; In Your Home; In Your Mission; In Your Friendships; In Your Vocation. Listen to the entire excellent message here. Following the service, I observed Kevin being asked several times for his list of questions for men to ask their wives on date nights. So, I decided to post them on this blog. Kevin, intent on making his and Adra’s date nights more Christ-centered than “amusement” centered, keeps these five questions on a card in his wallet. Print your own card, with this jpeg. 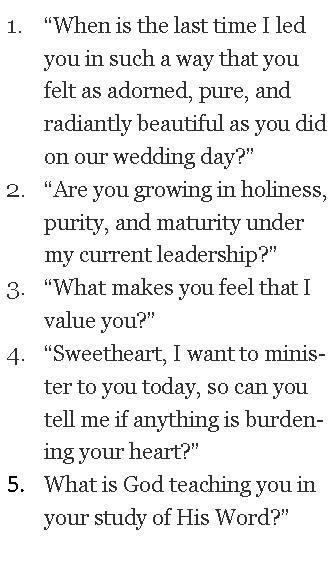 Implementing these questions will undoubtedly make our date nights more Christ-honoring than many of our “amusing” options. Brothers, we are called as soldiers of a Holy Army, commanded by the King of Kings to present our wives to God “in splendor, without spot or wrinkle or any such thing, that she might be holy and without blemish” (Eph. 5:27). Our Senior Pastor, Jim Kennington, wrote an excellent letter to our church in the March/April Vine (church newsletter). It’s good to hear from the lead guy, and I think it will renew your enthusiasm for Christian community! The Christian life is a team sport. 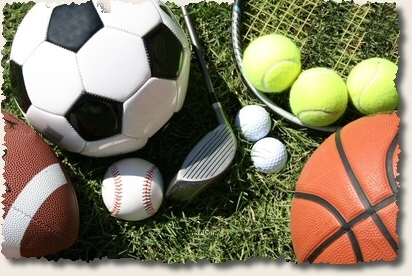 I grew up playing sports–baseball, football, and basketball primarily! Too many people I know are living like it is an individual sport. It’s not, it’s a team sport! I want to ask you a question. Are you in a small group? God’s Word makes it clear that this is his plan for us to grow as followers. I know there are times for all of us when it won’t work to commit to be in a small group. It is fine to step out of a small group for a short season. But when this becomes the pattern rather than the exception, I believe something could be very wrong. Proverbs 18:1 tells us, ‘Whoever isolates himself seeks his own desire; he breaks out against all sound judgment.” In other words, it is selfish and foolish to avoid living in community as a follower of Christ. Without regular connection and accountability that happens in the context of a small group we don’t grow as God plans for us to grow. God’s call is for us to be disciples, to be fully devoted followers of Christ. A discipleship environment must include authenticity and accountability. It must also include a safe place to share struggles without rejection. Very few Christians truly have accountability in their relationships. It takes time to build such relationships, especially ones that allow others to know us well enough to speak truth to our hearts. We all struggle at times. The devil loves to get us alone and tell us we are worse than anyone else. So, we live alone in the dark where the devil loves to play. But we all need constant support. Ecclesiastes4:10reminds us, “Woe to him who is alone when he falls and has not another to lift him up!” Only in relationship, only in community, can we receive the advice, counsel, admonishment and support we need to grow to maturity in Christ. The Christian life is a team sport! Are you trying to play it alone? Will you prayerfully consider joining a small group or finding a spiritual mentor to help you grow in your relationship with the Lord? It is worth the effort to make sure you are really living out the Christian life that God has planned for you. Please check out the small groups page of our church website or contact the church office. Not in Christian community right now? Consider getting in it at LCCC, you are welcome here! People who are in it, and leading it, you are doing a great thing and are appreciated!